Just when it was started to look like the divorce of Arnold Schwarzenegger and Maria Shriver was going to go off without a hitch, news of an illegitimate child hits. Allegedly, Maria Shriver, 55, packed up and left upon learning that her husband of 25 years fathered the child over a decade ago. In a statement released to The Times, Arnold Schwarzenegger acknowledged the rumors. “After leaving the governor’s office I told my wife about this event, which occurred over a decade ago…I understand and deserve the feelings of anger and disappointment among my friends and family. There are no excuses and I take full responsibility for the hurt I have caused. I have apologized to Maria, my children and my family. I am truly sorry. To protect their privacy, The Times is not publishing the former staffer’s name nor that of her child. 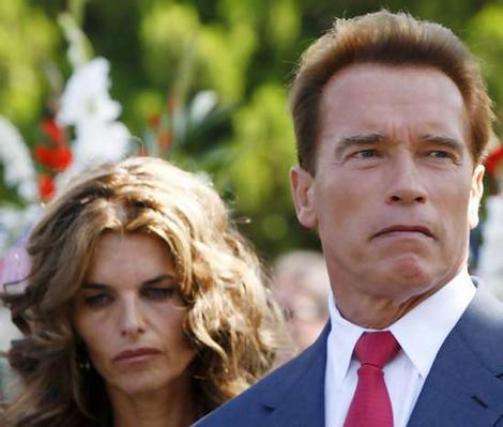 In an interview Monday before Schwarzenegger issued his statement, the former staffer said another man — her then-husband — was the child’s father. According to an unidentified source, the former Governor has taken financial responsibility for the child from the very beginning. A spokesperson for Maria Shriver said the former first lady had no comment. next post: Lindsay Lohan Drunkenly Grabs Random Chick’s Wrist. Allegedly. 50 queries in 0.610 seconds.